The Boyer Agency taking home the first place trophy! One of the League of Women Voters Manistee County’s favorite community events! 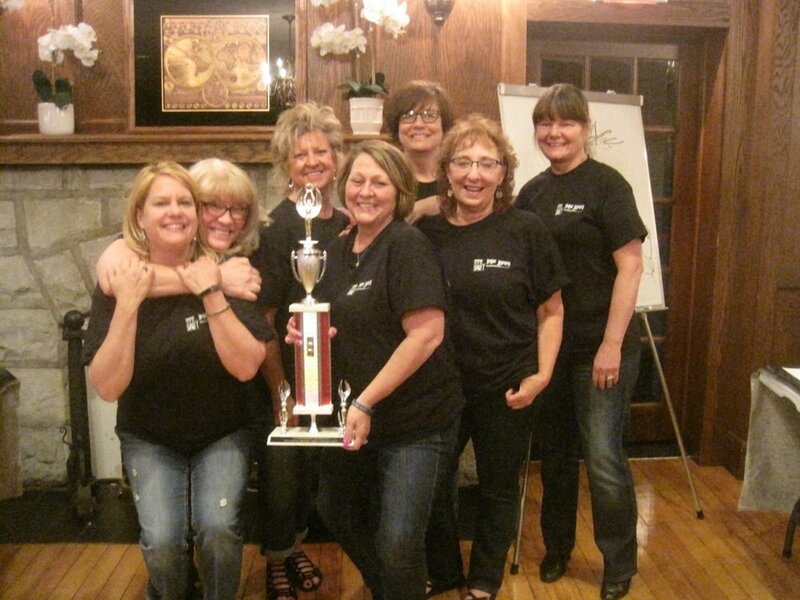 Numerous four-person groups, some representing area businesses and organizations, compete to win the coveted top trophy. Each person is given a secret word, known only to themselves and the audience and has to draw it for the rest of the team. The other three people on their team have a minute to guess the correct word. Some teams come dressed in matching tee-shirts or theme-dressed outfits. They often bring a cheering squad or support crew. All the proceeds from this event go to the LWV’s mission to help educate voters, improve voter participation and strengthen our democracy. Register your team today! Get your registration forms here! For more information email the League.